I hate branding and sub genres, but there's just something fascinating about 'alternative R&B'. As far as sub genres go, alt R&B has to be one of the most popular in today's current music scene. Artists such as The Weeknd, Frank Ocean and Lorine Chia have all given R&B music a new edge, combining those smooth, soulful vocals you expect on an R&B song, and combining them with a variety of different vibes, sometimes more dark and sinister, sometimes just a whole lot more upbeat. These are the kind of things that have led to people branding the sound 'alt R&B', and it seems that the influence is growing more and more each month. Jordan Bratton is a New York teenager who is currently creating a huge buzz at the moment, with his own brand of R&B. 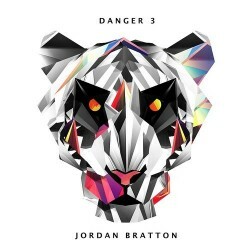 Bratton released his latest track, "Danger 3", earlier this week and this song definitely builds on the work he has already put in. Coming off the back of three previous tracks he's released in the past couple of months, "Danger 3" is a track that has clear influences from Frank Ocean, especially with the spacey synths and plucky bassline. Brattron's vocals cut through with amazing clarity, and the harmonies he reaches are spine chillingly good. He has also produced the instrumental himself, which again shows that the young singer/songwriter is building himself as a self-sufficient artist. "Danger 3" is available to download free over on his Soundcloud, along with the three previous songs he's released this year. If you like what you hear and want to support the artist, you can also purchase each track from iTunes, which you can follow from the links on his Soundcloud. @jordanbratton_ PLEASE allow thumbs up or downs. This is DOWNS. I'm embarrassed you posted this. So I wont rate it. Taylor Bennett, Stro, & Jordan Bratton team up for "New York Nights"
Jordan Bratton calls on fellow New Yorker Fabolous, for the dope remix of "Danger"